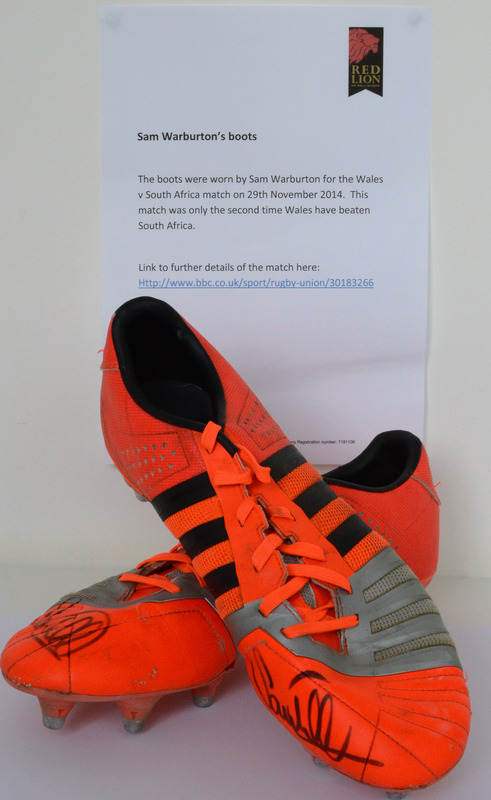 These signed boots were worn by Sam Warburton for the Wales v South Africa match on 29 November 2014. This match was only the second time Wales has beaten South Africa. The boots were sold at auction to Andrew Gidden, Founder & Managing Director at Red Lion Foods Ltd, at the Special Services Boxing Dinner earlier this year. He has very kindly donated them for the CSARN Salute.